It finally feels like summer in Calgary, and the abundance of fresh local produce pouring in at the market is proof! 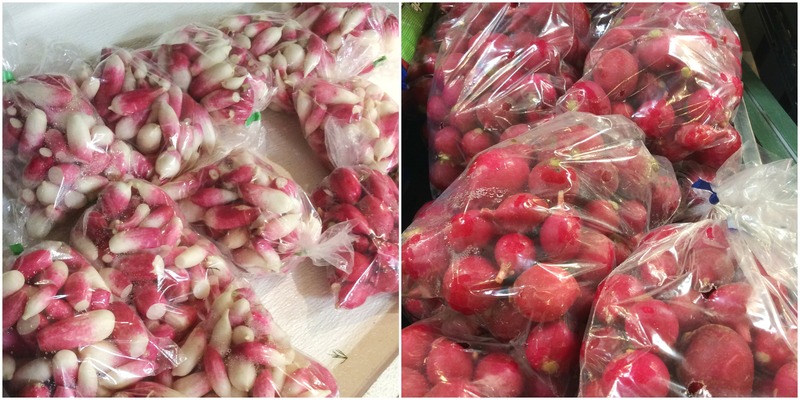 Radishes are one of the first local veggies to spring up at the market in the early summer. Their refreshing, spicy flavour is a welcome addition to any salad! If you want to try something new with radishes or simply take advantage of the bounty at the market right now, this recipe is for you! Finely chop your radishes, onion and garlic (you can also use a food processor for this step to speed it up – though chopping 2 pounds of radishes can be quite therapeutic!). Combine the vinegar, sugar, salt, coriander, cumin, mustard seed, black pepper and ginger in a large pot. Bring the mixture to a boil and stir to dissolve the sugar. Add the chopped radish, onions and garlic and bring back to a boil. Cook for 10 more minutes. Let the relish cool and place in a container or jar in the fridge. If you’re a home canner, you also have the option now to put up the relish in jars and process it in a hot water bath canner. Use this delicious radish relish on hot dogs, hamburgers and anywhere else you please! For all your summer recipe needs, come to the Calgary Farmers’ Market to get the freshest produce around. 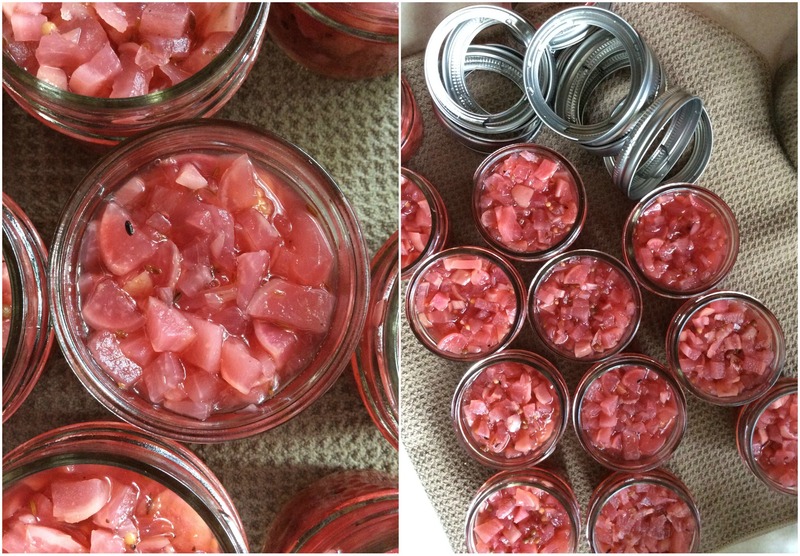 Radish relish is all jarred up and ready to go into the canner!